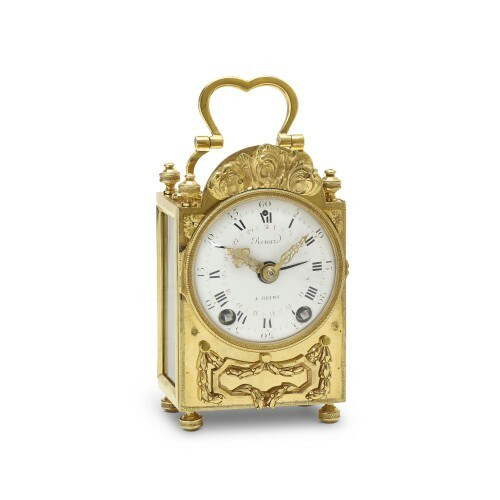 AnticStore > Catalogue > Clocks > 19th century > A austrian silver-gilt enamel and lapis clock garniture. 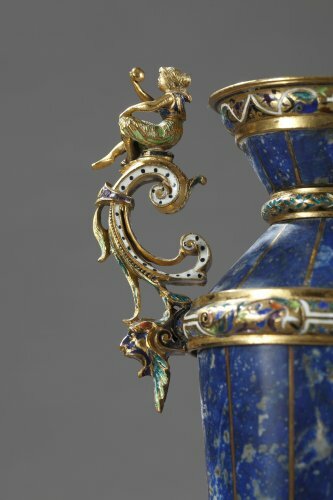 Herman Boehm. 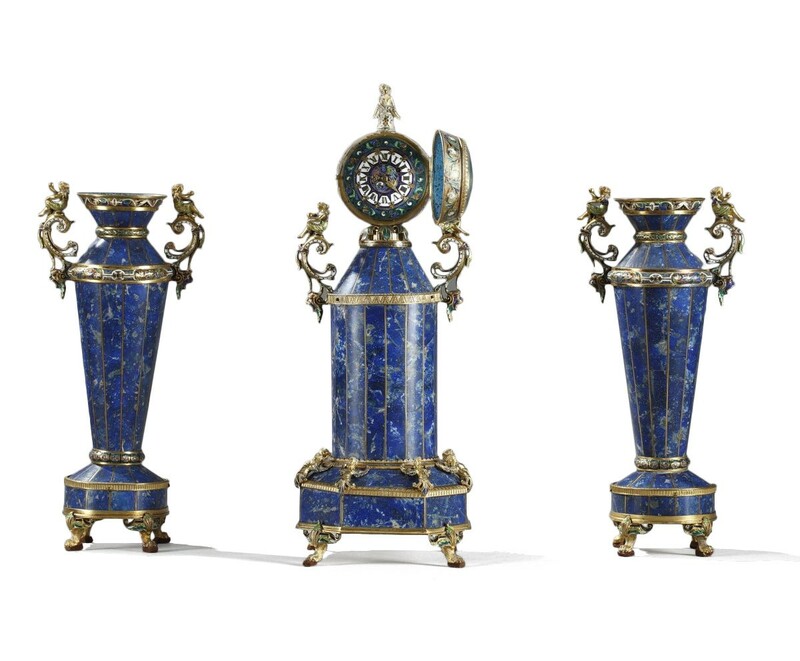 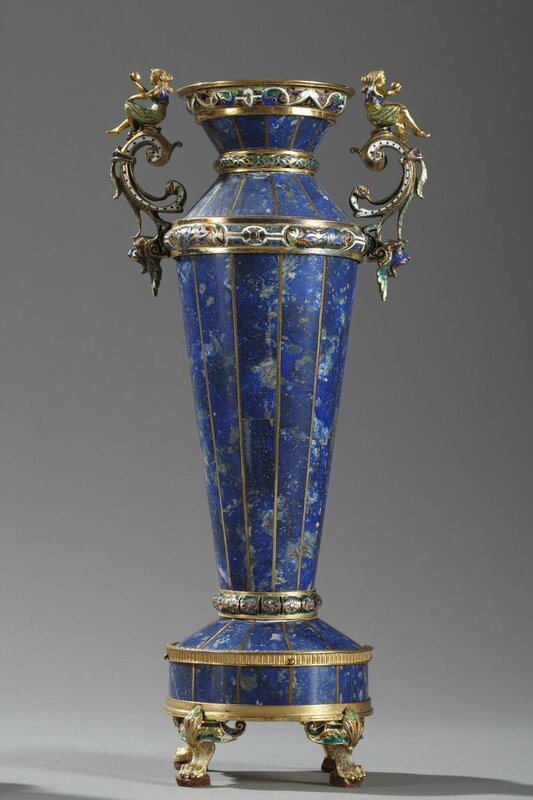 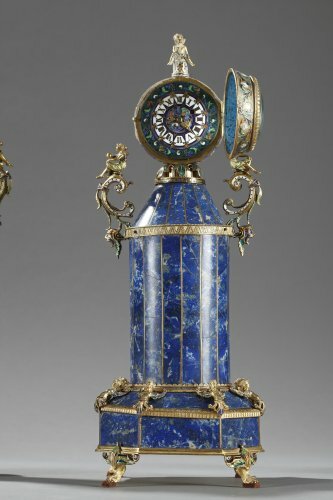 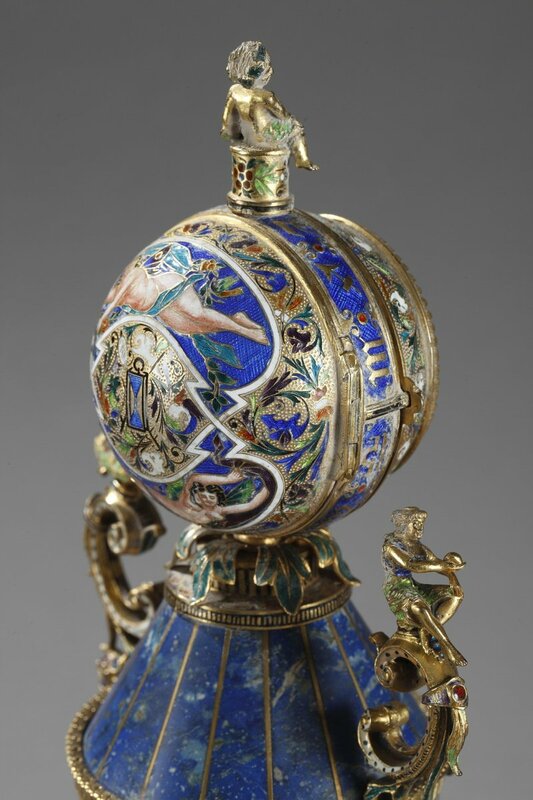 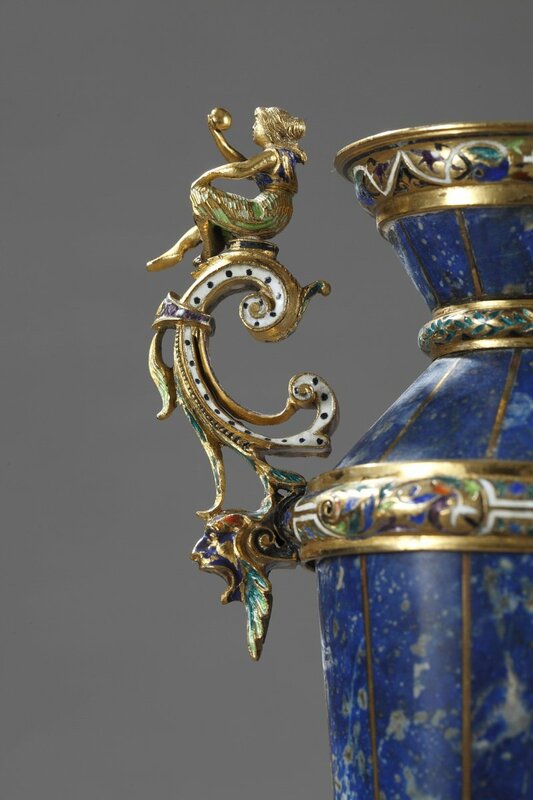 A austrian silver-gilt enamel and lapis clock garniture. 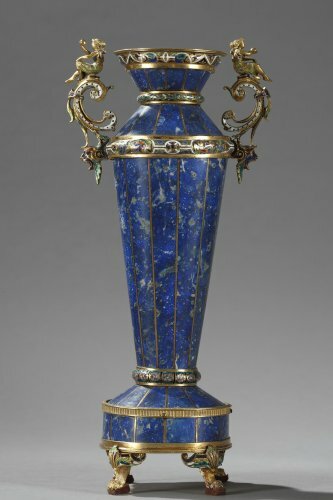 Herman Boehm. 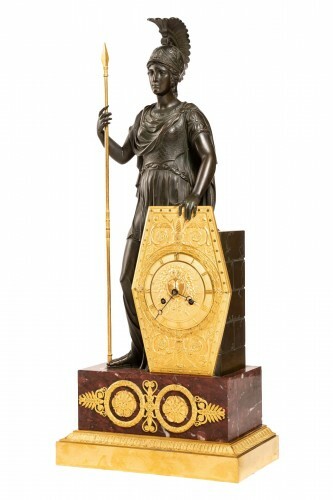 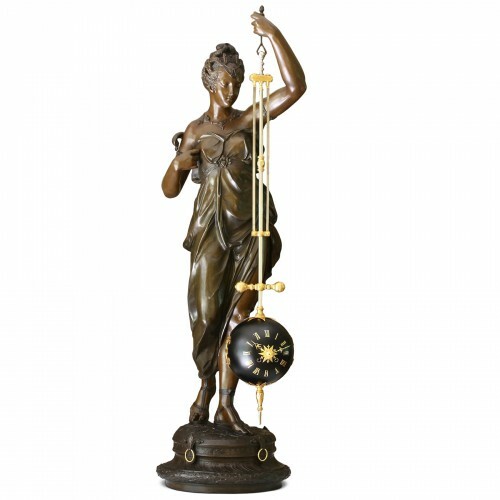 A three-piece Austrian silver-gilt, enamel and lapis lazuli clock garniture, all raised on four paw feet, the openwork scroll handles topped by fully-formed female figures, the clock base with a band of mounted harpies, the dial enameled with foliage and a bird, the back of the clock case enameled with an hourglass and two classical female figures, putto finial, with clock key. 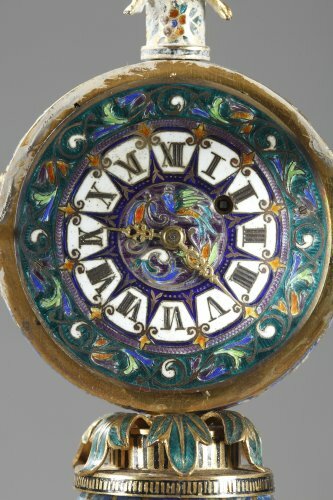 Dim: W: 5,1 in - D: 5,1 in - H: 12,2 in. 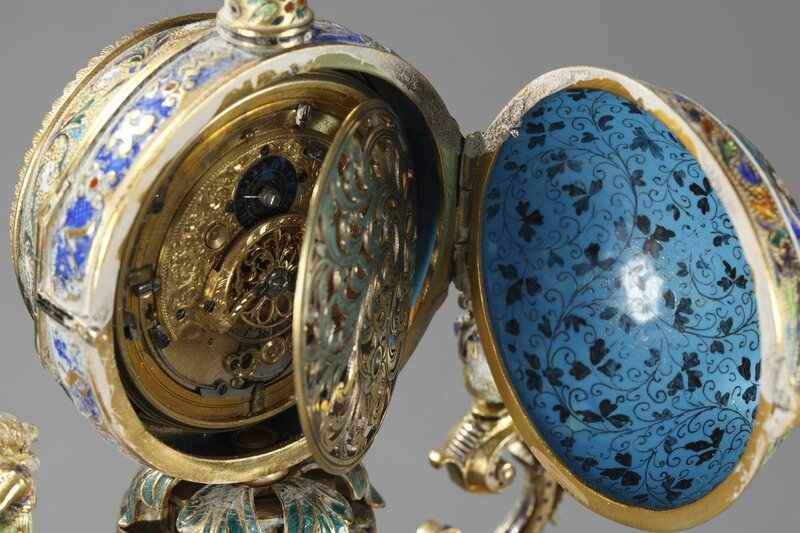 Hermann Böhm or Boehm was, with Hermann Ratzersdorfer, the foremost Austrian practicioner of Revivalist goldsmith's work. Working from models preserved in the Imperial Collections, the Green Vaults in Dresden, or shown in deluxe art publications, he used the local talents in painted enamels and hardstone work to create new Renaissance objects of "Rothschild" splendor for an international clientele. 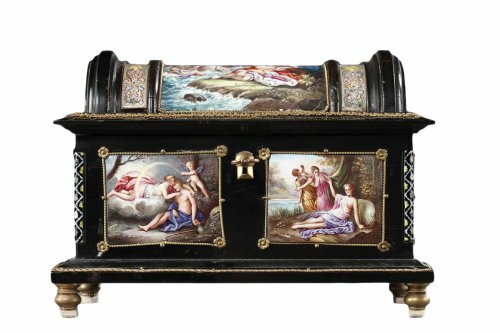 The firm was founded in 1866, and in the early 20th century was recorded as being Hermann, Hugo and Max Bohm (a mark is only entered for Hermann) and twelve workers. 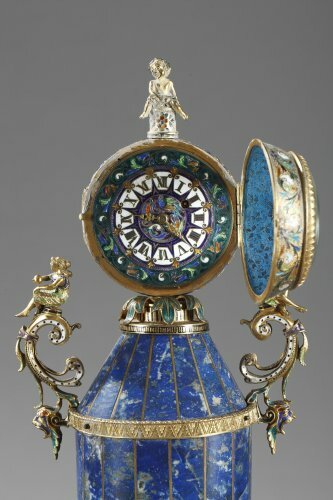 At the 1873 Vienna Exhibition, they showed a "Tournament Shield and Weapons in antique style, various 'galantries', and jewelry pieces in Limoges enamel", and received an award for merit. 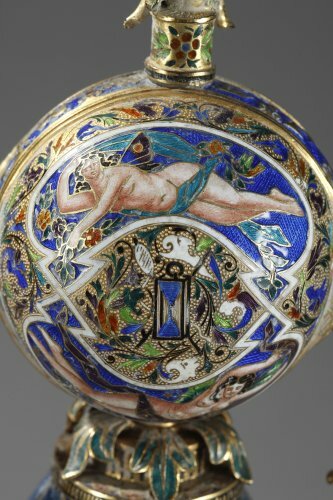 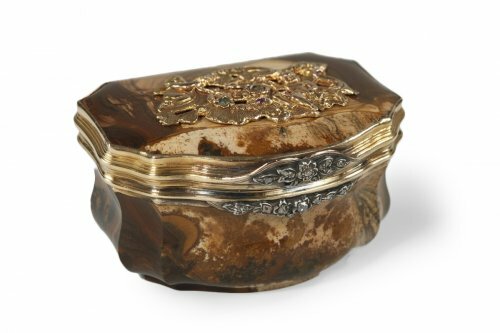 In 1890 they advertised "Artworks in Gold, Silver, Enamel, Rock Crystal, and Lapis Lazuli", while in 1898 the firm was identified as making "enamels and pieces in Antique Style". 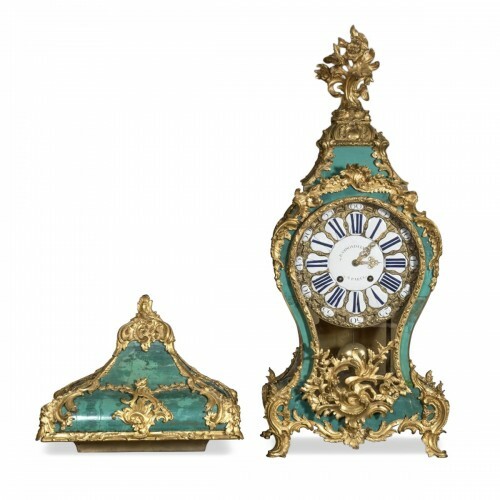 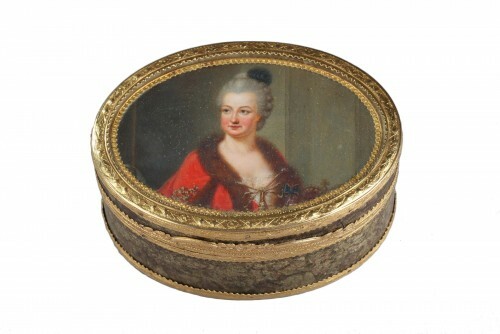 Erika Speel, Viennese Enamels in the Renaissance Revival Style, The Magazine Antiques.